All of you must have heard a lot about Bitcoins, but what exactly is a Bitcoin? Have you ever pondered over that question? If not, you should give it a thought and also read our exclusive guide on the same: What is Bitcoin? A Beginner’s Guide. 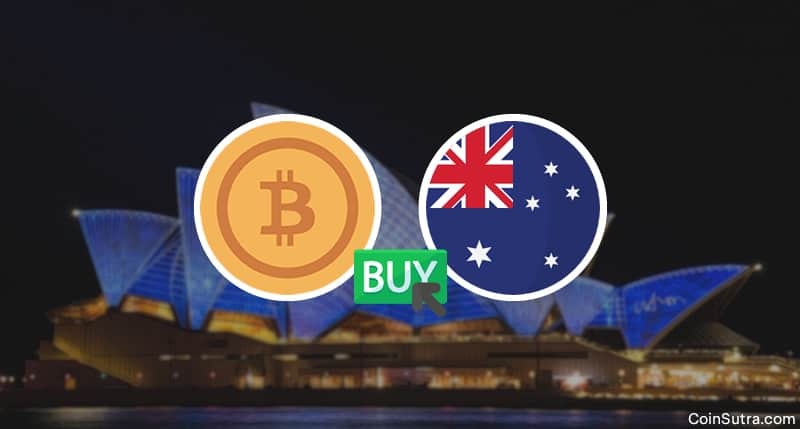 In the past, I have mentioned various exchanges to buy/sell Bitcoin that covers the international stage, but today I would like to talk specifically about Australia’s Bitcoin scenario. Bitcoin is booming in Australia and that’s not just my guess. There are charts supporting the narrative. 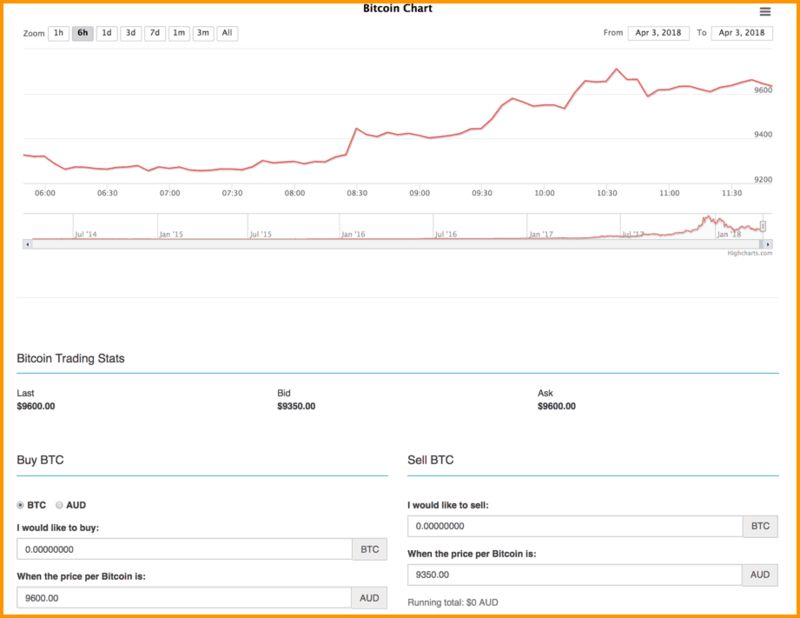 (LBC charts are a good indication of the popularity of BTC in that country). But for those Australians who haven’t yet embarked on their Bitcoin journey, here is a compiled list of popular services where Bitcoins can be purchased in Austraila. Coinmama is an Isreal-based service operating in the cryptosphere since 2013. And the good thing about this service is, almost every country in the world can avail of their services, including Australia. 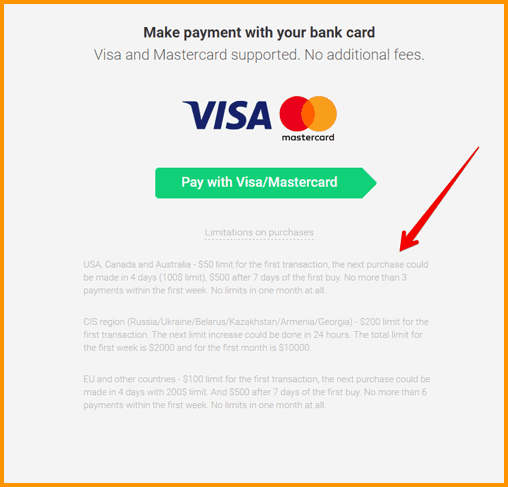 Using Coinmama, you can buy Bitcoins in Australia via a Visa/MasterCard credit/debit card. Remember, Coinmama is a buy-only service which means you cannot sell BTC here. To get started with Coinmama, you need to register using your email ID following which you will be asked to submit some documents to prove your identity. The more documentation you provide, the more currency you can buy on Coinmama. Check out our full review of Coinmama here: Coinmama Review: Analyzing If It Is Safe And Reliable. Changelly is our favorite service and we are glad that it covers Australia in its supporting countries. Here, you can simply sign-up using your email ID and swap any supported cryptocurrency for Bitcoins if you have one. If you don’t, you can buy Bitcoins using credit/debit cards too. You can check the exchange rates of USD/BTC here and decide for yourself when and how much you want to buy. 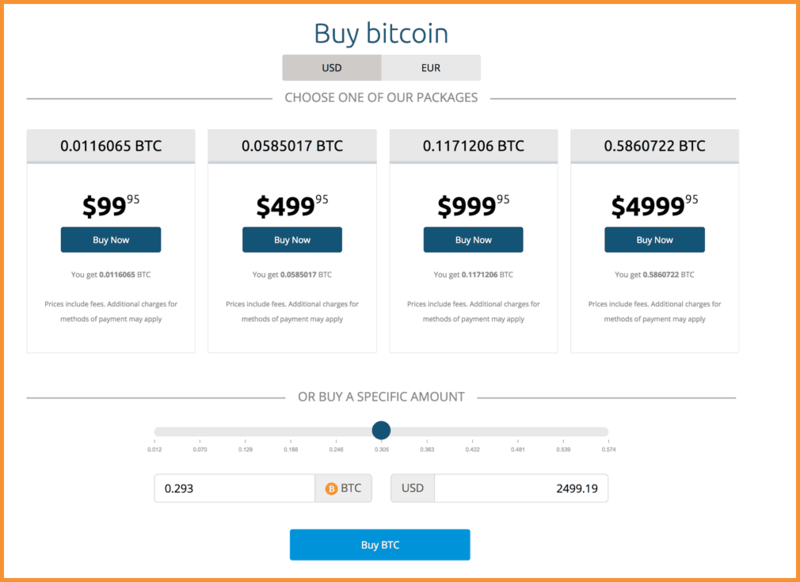 You may also use this direct widget to buy BTC in Australia and within 5-30 minutes your Bitcoin should be with you. Check their official step-by-step guide for buying cryptocurrencies here. CEX.io service is one of the pioneer services in the cryptosphere operating since 2013 from the UK, but the good news is that it supports more than 100 countries including Australia. If you are in Australia and have access to VISA/MasterCard debit/credit cards, you can register yourself on CEX.io. Here is an extensive guide by CoinSutra that will help you in the KYC process: CEX.io Review. Once you are done with the KYC and registration of your cards, you will be allowed to purchase more BTC depending on the level of KYC you have completed. 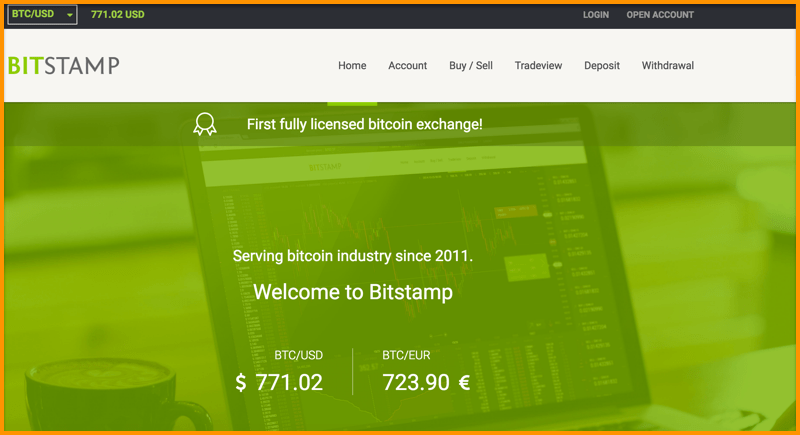 BitStamp is a known name for anyone who has been involved in the Bitcoin space. It is a UK-based exchange, a reliable one, serving the industry since 2011. The good news is, BitStamp’s list of supported countries has Australia in it which means you can buy Bitcoin in Australia via BitStamp. This functionality is supported by VISA/Mastercard debit/credit cards processed through BitStamp. Before initiating the trading process, a one-time verification (KYC) of your card details is required following which you can buy BTC instantly. CoinSpot is Australia’s native Bitcoin exchange operating in this space since 2013 and has earned quite a bit of respect too. If you are an Australian, it is very easy to start on CoinSpot as verification barely takes any time and one can easily buy/sell BTC on it. LocalBitcoins is a Finland-based P2P escrow exchange that facilitates buying/selling of Bitcoin in more than 240 countries including Australia. Fees are quite nominal on LBC. Registering, buying, and selling Bitcoin is completely free. LocalBitcoins users who create advertisements are charged a 1% fee for every completed trade. Note: Transactions to wallets of other LocalBitcoins users are free. 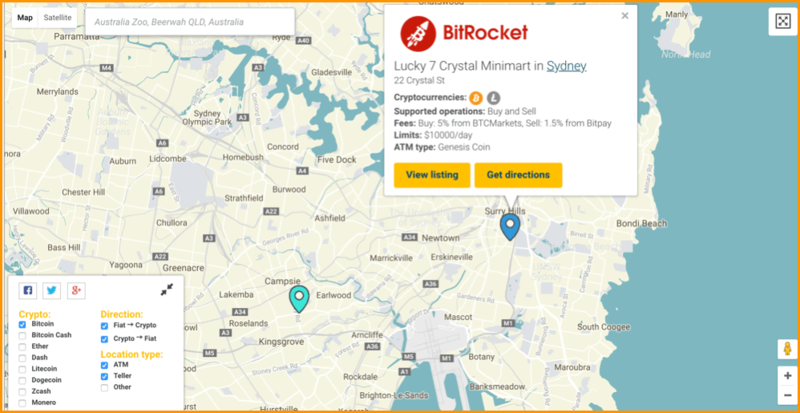 Another easy way to buy BTC in Australia is through Bitcoin ATMs. While some ATMs don’t require ID, some do before you can buy BTCs using the machine. Also, you will need Bitcoin wallets to receive your bitcoins. Just in case you don’t have one, pick one from our trusted Bitcoin wallet list. 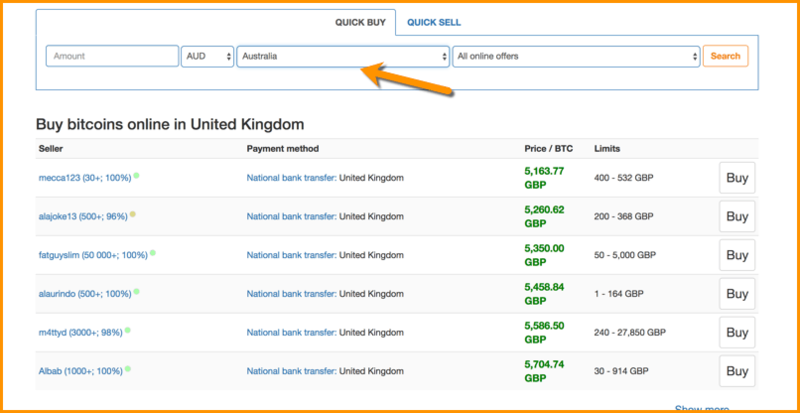 Buying Bitcoins around the world has become simpler over the years and Australia is no exception. There are some other domestic services in Australia that serve this purpose too, but we haven’t listed them here as we are not sure of them. Do share with us if you know of some reliable services. A quick head-ups from our side: Never store your Bitcoins in any of the services because these are all hosted by third-party services. And your Bitcoins will be safe only as long as they are not getting hacked which is risky.